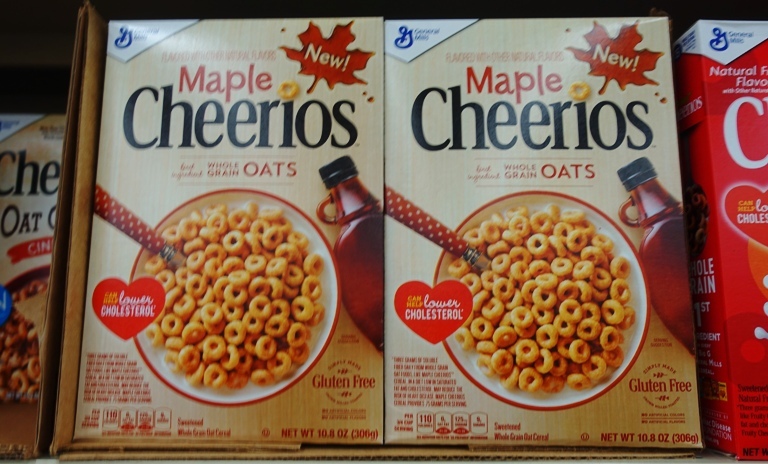 Tonight while shopping I found the Maple Cheerios I was keeping my eye out for. I had seen a post about them on Facebook and knew that I would soon see them. There are many different varieties of Cheerios now. I remember when I was just a kid when there was just one Cheerios. 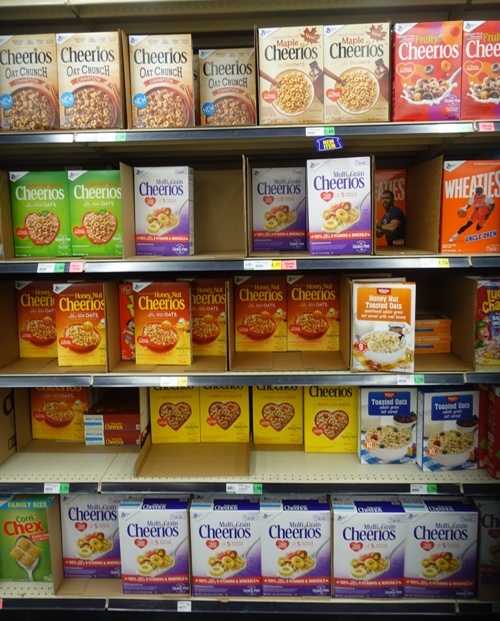 Just in this picture there are eight different types of Cheerios and I saw several more nearby including Peach Cheerios. I remember when Honey Nut Cheerios came out. I believe that they were the first variety. 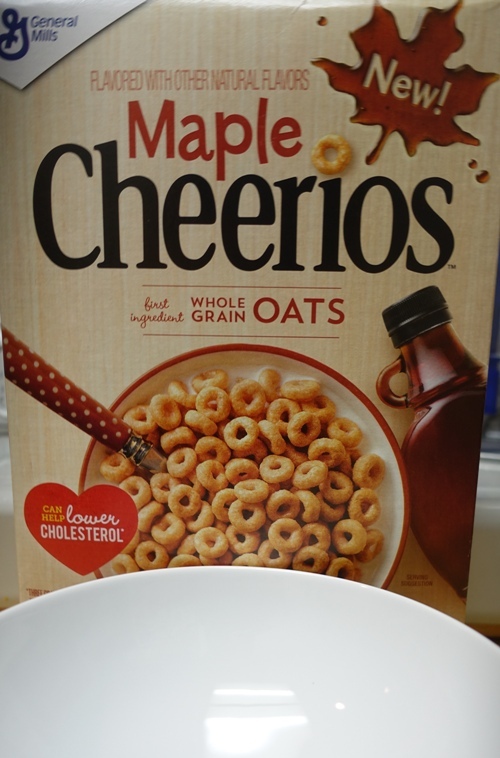 Of course, I had to buy some Maple Cheerios. When I got home I found that I needed to make room in my refrigerator for the gallon of milk I bought and since there was just enough left in the old jug for a bowl of cereal it is what I had for dinner. Here we see the Maple Cheerios in the bowl. They are a bit darker in color than the originals. I then added that last bit of milk from the old jug and plopped in a spoon. 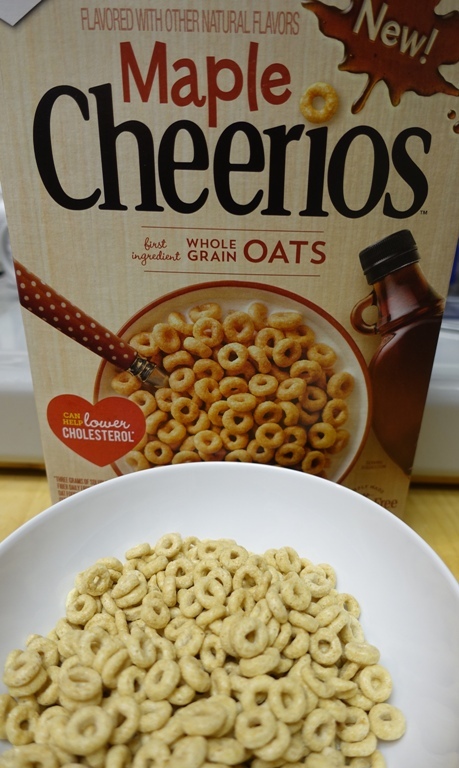 The Maple Cheerios have a nice maple flavor that is not overpowering. I think that I will enjoy this box of cereal, and maybe buy another before they disappear from the stores. Perhaps they will be come a seasonal variety. What is your favorite Cheerios flavor? 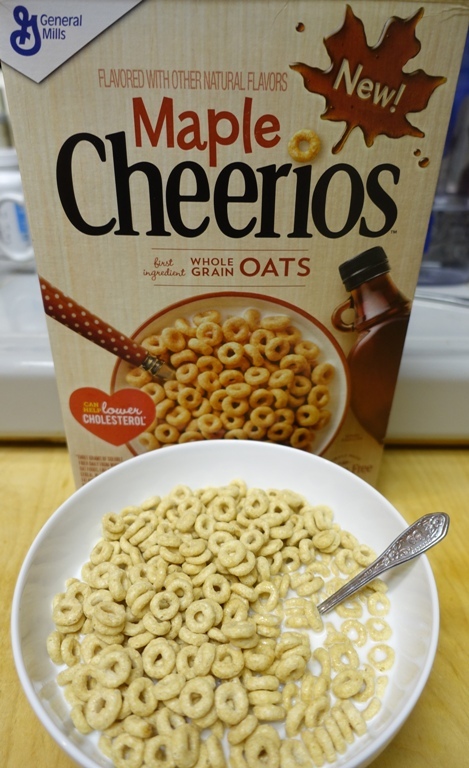 This entry was posted in Culture, Food, Seasons and tagged Breakfast, Cereal, cereal aisle, Cheerios, Flavors, maple cheerios, milk, seasonal food. Bookmark the permalink.